Knowledge of basic First-Aid can save your pet’s life, and help to avoid the feeling of panic that accompanies emergency situations. While we all hope that we never face an emergency, however, a little bit of preparation is incredibly valuable. Always remember that any first-aid administered to your pet should be followed by immediate veterinary care. First-aid care is not a substitute for veterinary care, but it may save your pet’s life until they get to the hospital. Airway: Make sure the airway is clear of any obstruction so the animal can breathe freely. Remove any obstructions from the mouth and the back of the throat, lift the chin up and carefully stretch the neck into a straight line and gently extend the tongue if needed. Breathing: Check the rhythm of your pets breathing. If your pet is not breathing then check to see if they are unconscious. If there is no breathing then perform rescue breaths by closing your pet’s mouth and gently blowing into its nose until the chest expands, give one breath every five seconds. Ensure the animal is in a safe place and call a vet immediately so they can prepare for your arrival. If there is active bleeding, apply firm pressure to the area. If the blood if from a hind leg and is high pressure then apply a tourniquet above the bleeding (this needs to be removed within 15-20 minutes). Never make them vomit unless under veterinary guidance—this can cause severe consequences. If they vomit, ensure there’s no sign of breathing difficulties; complications can happen quickly, especially if unconscious. Contact your veterinary immediately and, when possible, show them the poison. Immediately take your pet out of the heat and into a cool environment. Shower your pet with room-temperature water and then cover them in wet towels (the water should not be icy cold as this slows heat loss). Put medical alcohol on your pet’s footpads to facilitate heat loss. As a general rule nose bleeds always look worse than they really are. Place an icy cold compress on the top of the nose. Do not raise the nose! Nose bleeds can often be a sign of an underlying disease (such as Tick Fever or coagulopathies) and are important to be checked even if the bleeding stops. 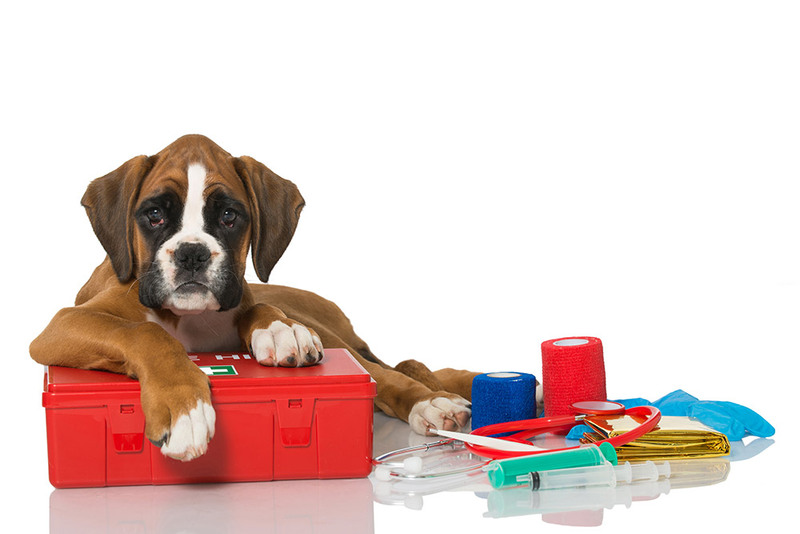 Always keep a basic pet first-aid kit in your home, labeled with your veterinarian’s 24/7 emergency number, this can be a basic human first-aid kit purchased from any pharmacy. A little preparation goes a long way in case of an unexpected emergency situation. And ask your vet if they offer a basic life support training course for pets to keep your knowledge fresh and up-to-date! BIO: Dr. Eugene has worked as a veterinarian around Southeast Asia for the last four years, from the Philippines and Thailand to Malaysia and now Vietnam. He is driven by a desire to provide the best care for his patients and has a wide range of experience in all aspects of veterinary medicine, and a special interest in surgery and intensive care. Dr. Eugene provides both first and second opinions on all manners of companion animal cases while also overseeing the provision of clinical care for Animal Doctors International in Ho Chi Minh City.